The Magimix Cook Expert was tested by CHOICE in 2016. 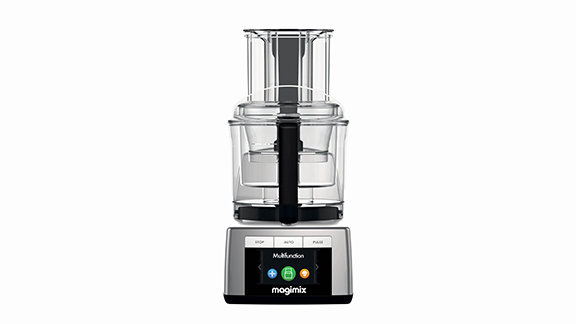 Find the best all-in-one kitchen machine How does the expensive Thermomix compare to the rest? All-in-one kitchen machine reviews Is Thermomix still the household name in the all-in-one kitchen appliance category? We test and review them all to find out. Other safety features  Water tight seal lid.  The unit will not operate if the bowl and lid is not securely added to the main unit.  Double wall metal bowl.  Need to check the seal regularly for damage, if it is damaged or leaks it must be replaced.  Never exceed the max fill level 0.5L for steaming, 2.5L for other preparations. Is Thermomix still the household name in the all-in-one kitchen appliance category? We test and review them all to find out. How does the expensive Thermomix compare to the rest?